We touched on the advantages of Facebook Ads in a previous article. Now, we will delve deeper into how they can work to really help your business grow. The great thing about Facebook Ads is that they don’t cost a fortune, and with the right plan and management they can bring your work in front of a much larger audience. Implemented properly, this can be a simple and surefire way to get your money’s worth. Create a headline that will attract as many people as possible. Choose an image that will immediately capture an audience’s attention. Make sure your ad displays perfectly across all types of media (desktop, tablet, and phone). Keep these three elements in mind when you create your ads; even if you’re only missing one of them, you can be sure that you will not reap the results you’re after. With that in mind, let’s get you started on creating your very first Facebook Ad! Your first step, as with any advertising campaign, will be to define your marketing objectives. The great thing about the Facebook Ad platform is that you can promote whatever your heart desires: a blog post, an event, a competition, or a presale code, for example. This means you need to nail down your objectives before you start: what are you looking to accomplish? More readers? More clicks? More purchases? Having a definite idea of what your end game is will help you target the right audience. The ideal ad will create awareness and engage people, lead them to “like” your page, and ultimately lead to a sale. 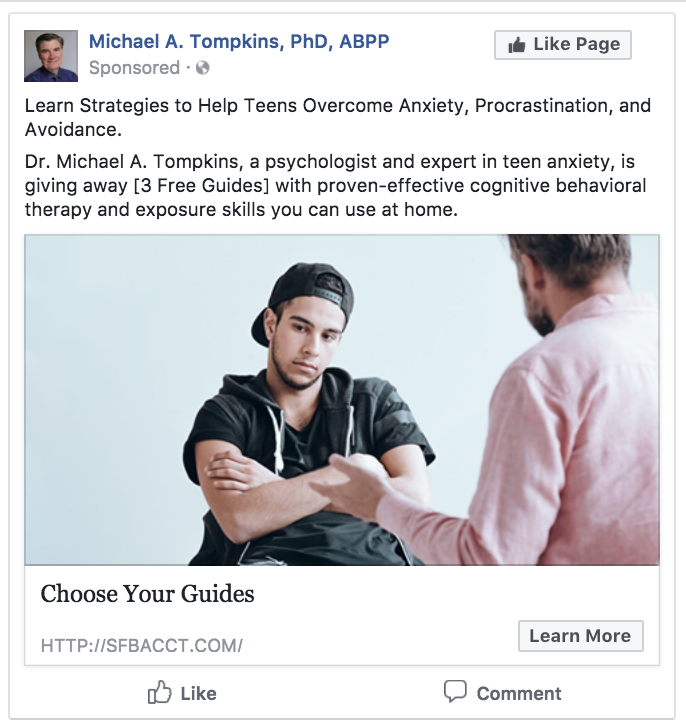 A “perfect” Facebook Ad will have compelling copy that draws you to the page, drives users to take action, encourages them to like, share, and comment, and is also timed perfectly. Your Facebook Insights page can help you determine when your content receives the most interaction, which is information you can use to help you make sure your post doesn’t get buried by other posts. My preferred ad to create is a Lead Generation ad that connects with the authors’ MailChimp email list. I often offer ‘freebies’ or Lead Magnets to those who sign up for the list. After I’m able to find an ad that converts under $2 per list subscriber, I’ll begin an email campaign related to the book. Once you have determined the above and created your ad you will be ready for step two: targeting your audience. Facebook will guide you through this process, allowing you to choose your target market by pinpointing a certain age group and several locations, for example. For your first ad, it’s always a good idea to start off by targeting friends and friends of friends so you can get a good feel of how it all works, and then move on to broader horizons after that. Ads can also be configured on a per-impression or a per-click basis, depending on what your objectives are. Start off small and test a few different ads out, keeping track of their performance as you go. At this point, you want to start optimizing your advertising plan by working out your bid (how much you want to pay for an action), your budget (the maximum you want to spend on your Ad), and the schedule (how long you want to run it for). Keep an eye on the performance of each Ad you run and be prepared to tweak if necessary. Remember that Facebook allows you to make changes throughout the duration of the campaign. Be sure to stay in tune with your Insights page and schedule pushes when you know you will get the most engagement! Split testing (also called A/B testing) is a really good way to see how well an ad performs in different environments. You can create two or three different versions of the same ad, run them separately over the span of a few weeks, and then compare their performance. This really helps you to see what works and what doesn’t. And to make it even easier, tools such as AdEspresso will help you build your campaign in a simple, step-by-step style, allowing you to create split tests with generated reports. 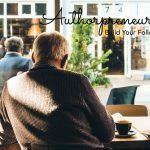 As an authorpreneur you probably have a few main objectives: grow your market, widen your brand awareness, and, of course, sell your work. With Facebook, you can easily create conversion ads by selecting the correct ad type before you begin, and then track each conversion with the platform’s free ad tracker. This is a fantastic tool as you can study who is reading you and what areas of the market you can target successfully. Try using split testing conversion ads to see how you can up your conversion rate consistently. You can also try split testing images with carousel Ads—there really are so many ways to use this platform and to make it work for you! All it takes is a little patience and a lot of honing in on who you want to target. Once you have a few ads under your belt, you will have a better view of what works best for your business. And as a bonus, here are some hacks that are great to keep in mind as you work through your campaign’s objectives! Add some of the cheapest countries for Facebook Ad clicks to your Ad demographic list. This will help you garner more likes for less money and widen your engagement. Add a Facebook Pixel to your webpage to create Website Custom Audiences based on past website traffic (this will help you garner cheaper likes). Use video retargeting to draw people to like your page. Analyze your competition and aim to steal their fans (in an ethical way of course). Use the Detailed Targeting section in your ad developer to add competitor pages, and schedule ads at different times than their ads. This will really help you broaden your reach in the same target market. All of this may seem a little overwhelming for someone unaccustomed to the Facebook landscape. 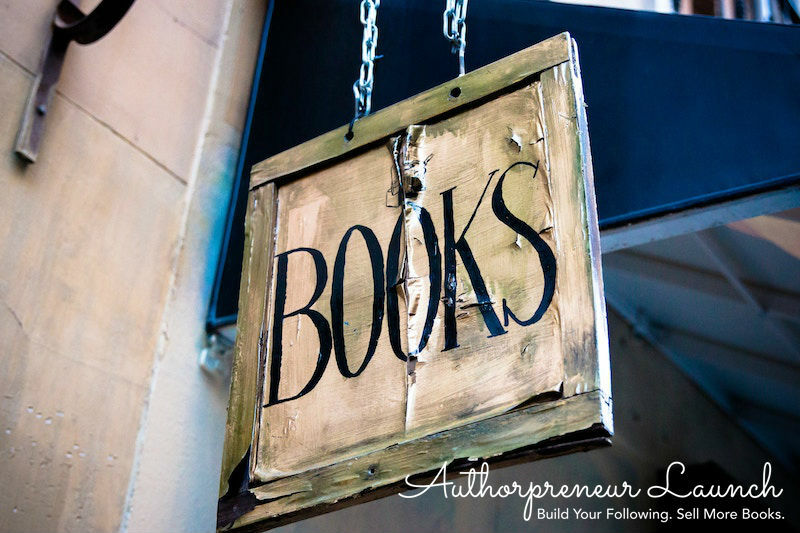 Look, we’re not saying you have to use Facebook ads in order to be a successful authorpreneur; however, if you’ve managed to engage with an ever-broadening fanbase on Facebook without using ads, well, then…we’d love to know your secret! After you’ve used your Facebook Lead Generation ads to gain new list subscribers, use a tool like Wishpond to automatically send an email as soon as a user converts on one of your landing pages, popups, or forms. Hey, I’m deciding whether or not I should continue to include my ‘Photo of the Week’ and ‘Meal of the Week’ images anymore. My goal had been to give you a little insight into my life so you could feel like you know me. 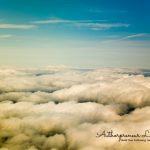 Can you please give me your feedback on whether I should continue to include non-business-oriented images? Reply to this email or send your thoughts to: marquina@authorpreneurlaunch.com – thanks a ton!